The week-long deliberations of the Paris headquartered Financial Action Task Force (FATF) began on Sunday. 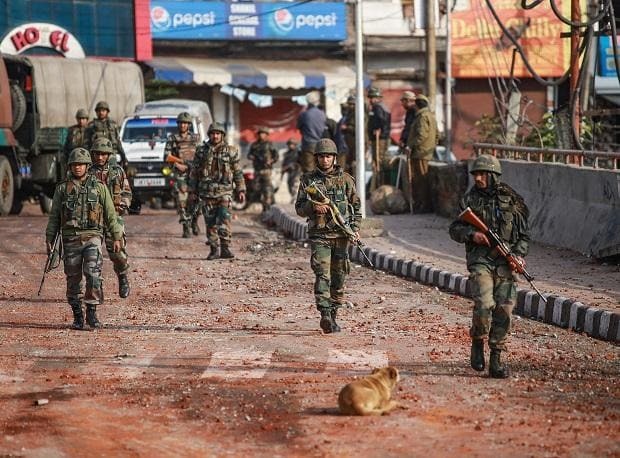 And India, for its part, is set to present a dossier on how the Pakistani state is supporting Jaish-e-Mohammad, the terror group believed to be behind the suicide bombing in Pulwama. At present, Pakistan finds itself in the category of monitored jurisdictions, where it was placed by FATF in 2018. India will be hoping its dossier will convince FATF to now place Pakistan in the category of high-risk and non-cooperative jurisdictions, along with North Korea and Iran. Some of the other 10 countries along with Pakistan in the monitored nations category are Syria, Sri Lanka, Yemen and Botswana. FATF is a policy-making body established in 1989 to “set standards and promote effective implementation of legal, regulatory and operational measures for combating money laundering, terrorist financing and other related threats to the integrity of the international financial system”. At present, it has 38 members, of which 36 are nations and two regional bodies (the Gulf Cooperation Council and the European Commission). In addition to India, some of the other members of the FATF are the US, Israel, UK, China, Russia, France and Germany. FATF has a list of 48 specific recommendations aimed at combating money laundering and terror financing. There are unique terror-related recommendations that need to be followed globally. These include measures related to criminalisation of terror financing, targeted financial sanctions related to terrorism and terrorist financing, and measures to prevent the misuse of non-profit organisations by terror organisations. FATF recommends that nations should “criminalise not only the financing of terrorist acts but also the financing of terrorist organisations and individual terrorists, even in the absence of a link to a specific terrorist act or acts”. It further states that countries should comply with the United Nations Security Council resolutions over the years on targeted financial sanctions to combat and suppress terror money. On this front FATF recommends “freezing without delay the funds or assets, and to ensure that no funds or other assets are made available, directly or indirectly” to terrorists and terror organisations. With regard to non-profit organisations being used as a conduit for terror financing, the recommendations include identifying the use of such organisations by terrorists or terror groups to escape freezing of their assets and curbing “clandestine diversion of funds intended for legitimate purposes to terrorist organisations”. India’s dossier to FATF at the ongoing Paris meet will try to reinforce that Pakistan has failed on all these fronts, in addition to other lapses, with specific evidence related to the Pulwama suicide bombing, which claimed the lives of over 40 Central Reserve Police Force (CRPF) personnel. The dossier is likely to contain details on specific links of the Jaish-E-Mohammad (JeM) to the Pulwama suicide bombing, details of its funding and operations and funding of the Al Rahmat Trust, which is believed to be a non-profit organisation funding JeM. The Al Rahmat trust was set up by Maulana Masood Azhar, the head of JeM, in 2002. The US has over the years tried to curb the financial activities of Al Rahmat Trust, but it continues to enjoy public and state support in Pakistan. The trust is still active in Pakistan and seeks donations for various causes, including “providing relief to victims of disasters in Pakistan and Kashmir”. If India is able to convince FATF about Pakistan’s culpability on the above-mentioned fronts, Islamabad would be put in the high-risk category. The primary impact of any such move by FATF could potentially have a debilitating impact on Pakistan’s stuttering economy. This will be primarily on account of restrictions imposed on aid and lending of organisations like the International Monetary Fund (IMF), World Bank and Asian Development Bank (ADB) to Pakistan. All these bodies are observer members of FATF and committed to implementing its terror financing- and money laundering-related recommendations. IMF’s last monetary support to Pakistan ended in 2016 with the culmination of the final instalment of a $6.15-billion aid. The fund had predicted that Pakistan’s economy would grow at 5.5 per cent in 2019-20 — up by a percentage point — when the aid culminated in 2016. If FATF decides to ‘blacklist’ Pakistan, the Lagarade-Imran Dubai talks for extended economic support to Pakistan would be jeopardised. As of November 2018, the World Bank’s aid (in terms of International Development Assistance credits) to Pakistan stood at a little over $1 billion. Future assistance from World Bank and its affiliates like the International Finance Corporation could also be negatively impacted. External debt accounts for 30 per cent of Pakistan’s $300-billion Gross Domestic Product (GDP). This would also mean bad news for foreign direct investment in Pakistan which in 2017-18 stood at $3.9 billion – almost a tenth of its GDP – according to State Bank of Pakistan. A cursory glance at some World Bank projects shows that many are in the power sector. A dip in investments in Pakistan’s power sector could lead to further deterioration of its notoriously inadequate electricity supply, the restoration of which was one of the key election promises of Imran Khan. What could probably be a saving grace in the eventuality of an FATF blacklisting is the monetary support Islamabad has been promised from West Asian nations like Saudi Arabia and United Arab Emirates (UAE). Saudia Arabia’s prince Mohammad Bin Salman has inked investment deals worth $20 billion with Pakistan in the wake of the Pulwama suicide bombing. This reportedly includes an $8-billion refinery deal in the Chinese-funded port of Gwadar. Saudi Arabia is not a member of FATF but it has been accorded an observer status. In effect, even if India succeeds in getting Pakistan blacklisted at FATF, Islamabad would have to depend more on its all-weather friends like Saudi Arabia to tide over an impending economic catastrophe.